What was once described as a healthy democratic system turned into all-out social war, writes Deutsch's EVP, group strategy director. Whichever end of the battleground you have been inhabiting these past few months, there is no question that the rules of engagement around elections—and potentially communications in general—have fundamentally changed. Common decency, civility, morals, facts have all been damaged, if not completely thrown out the window. In their place we have shock tactics, dirty tricks and a seemingly limitless appetite for destroying the enemy at any cost. What was once described as a healthy democratic system turned into all-out social war; now we reflect on some of the hard lessons learned along the way. The art of trolling is real. While Donald is the obvious King Troller, what with #SickHillary, #ZombieHillary and #Birtherism all well established before the official nominations were even announced, Hillary has been the late, great bloomer in the battle for Master Troll. 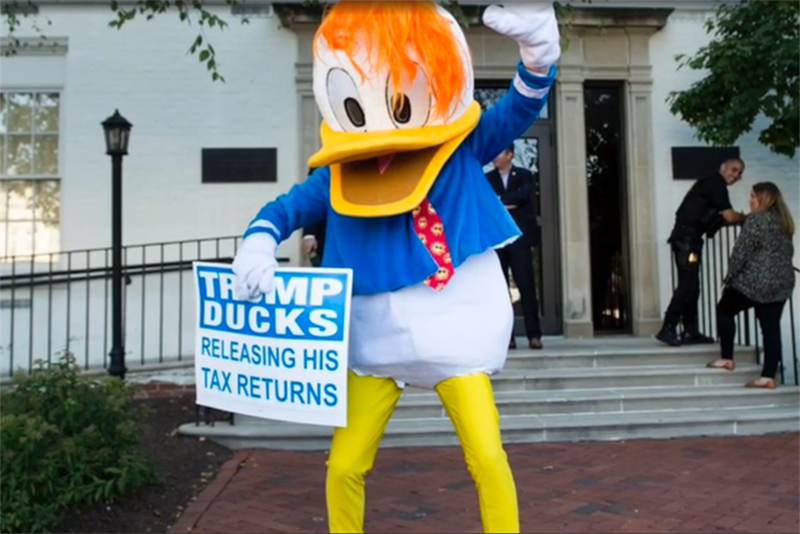 The Troll Trump auto-donate mechanism is the obvious title play, but turning "Nasty Woman" into merch gold and prowling Trump Tower with the real Donald Duck should not be underestimated. Today, even our presidential candidates use trolling as a strategic power move. Why settle for a simple war of words when you can utilize an army of supporters who are highly trained in the central philosophy of trolling: "conflict is attention and attention is influence." Bring on Kanye 2020. Memes be the weapon of choice. It has long been noted that we exist in the sound bite economy—if you can’t say it in a hashtag don’t bother saying it at all. But to date, we have seen less brand bandwagoning around memes, despite the fact that they have proven to be the new weapon of mass communication, with nearly every political candidate in this election taken down at the hands of one. Cruz was exposed as the Zodiac, Jeb Bush got vined into oblivion, and that’s before we get into Trump and his little ... fingers ... or Hillary and her mememails. Because the real beauty of the meme is not strings of pithy words all strung together, but the effortless ability to create the impression of sensational scale, of mass buy-in, that Everybody Is Talking About This. With anonymity taken for granted, meme-bot armies can create the perception of large-scale movements, quickly catching media attention and gaining real-life comrades. Never mind hashtag overload. Welcome to Memecraft reality. Be Woke or Be Dead. Cool is dead. Woke is the new cool. The opposite of basic, the answer to the confusion, being woke is essentially the new "aspirational target." Roughly translated as those who can form an opinion, pithily articulate said opinion on social feeds and continue to argue said opinion in the face of an angsty comment feed; in a country that seemingly has no idea what it stands for anymore, being woke is the social status du jour for the kids. Now watch the brands deploy and destroy for 2017. The myth of populism. 2016 has been hailed as the year when populism trounced parliament. Yet as Trump continues to hurl good conspiracy theory after bad, brandishing the charge of a rigged election as the ultimate populist "get out" clause, the question remains: What kind of democracy are we subscribing to anyway? Whichever way you cut it, whichever candidate wins, the whole system still seems woefully unrepresentative of today’s electorate at large, which continues to diligently believe in equality, a position not seriously supported by either major party. Whether you are looking for equal rights, equal opportunity or equal representation, it is hard to escape the feeling that when all is said and done, this election is completely #unrelatable, and the whole charade has been a massive diversion tactic to ensure that some men will be always be more equal than others. Celebrity presidency. Personality has always won elections, no news there. But now it is not just about your perceived personality, it is your three-dimensional, living, breathing celebrity that is on the docket. Complete with merch, franchises, world tours and entourages to boot, we are no longer voting for a president but an American Idol. In this brave new world, the voracity of your fan base beats the soundness of your intelligence, the PR power of your sound bites beats the depth of your political experience and the contentiousness of your tweets counts for far more than your countenance at the UN. In an age when the mantra "all PR is good PR" has never been more true, the real question we are left pondering is: can somebody with no celebrity status ever be POTUS again?